A couple weeks ago I was followed by an instagram account called Hobo Hammocks and was intrigued by their message. I’ve recently gotten into hammocking as a way to relax and enjoy time outside. 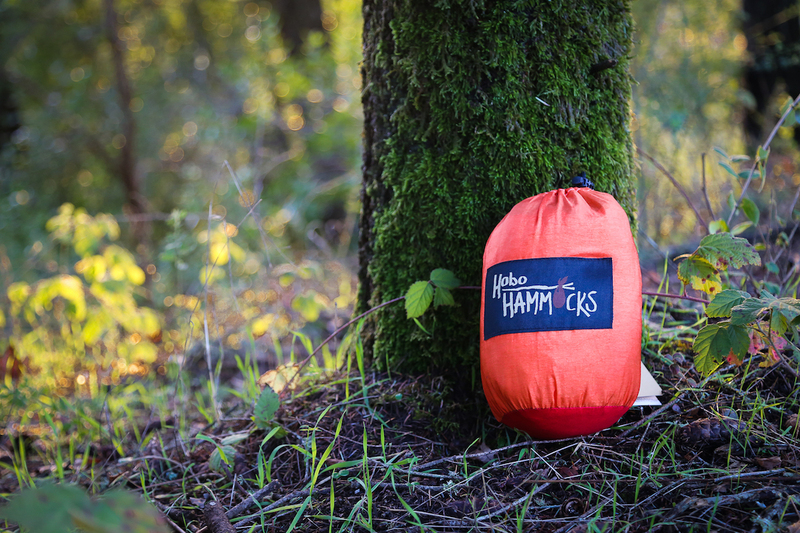 Hobo Hammocks is a hammock company that helps the homeless. How? 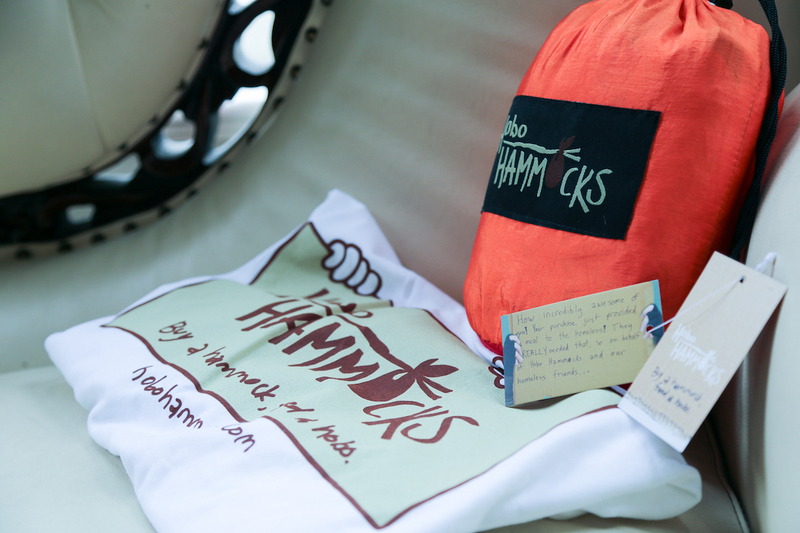 For every hammock you purchase from Hobo Hammocks, you provide a delicious meal to someone who is homeless. 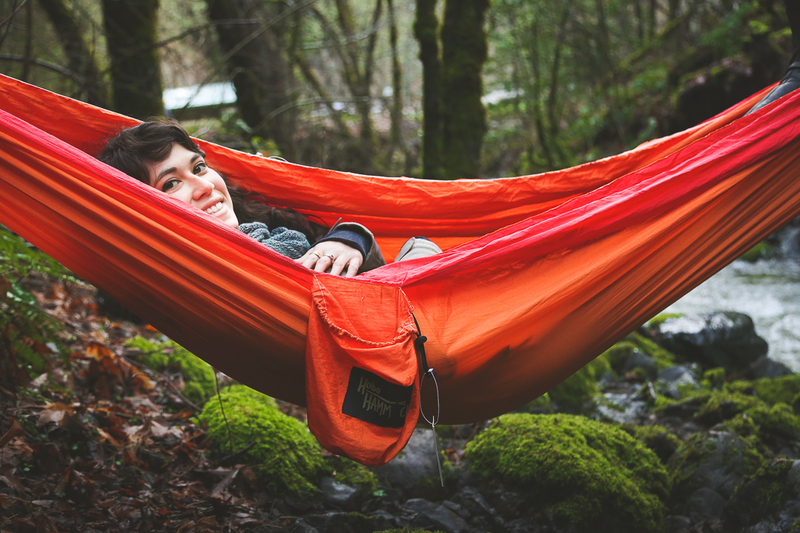 The company offers 8 different hammock colors which can be purchased on their website. 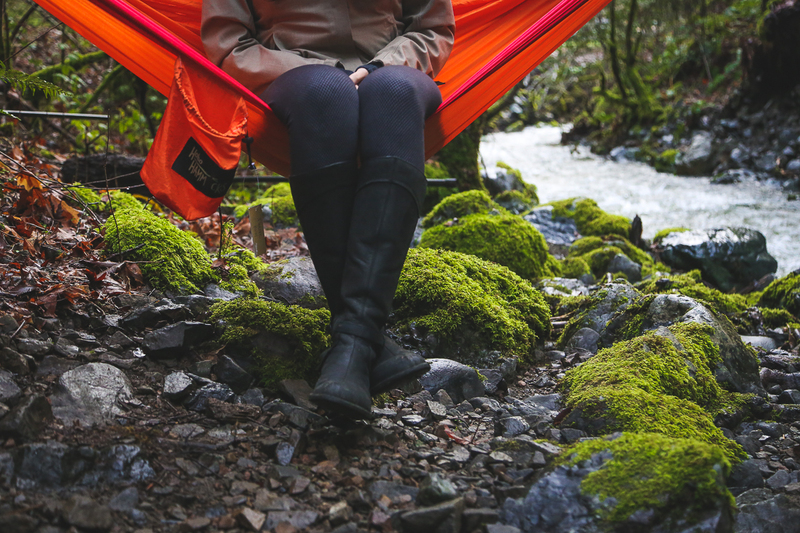 The hammock has been tested up to 540 lbs so you and someone else can enjoy a sweet hang together. I was sent a beautiful Hobo Hammock in the sunset color along with a nice tshirt. What I really liked about this hammock is that everything is packed into a nice little bag rather than needing to buy straps and carry them in a separate bag. That was nice to know that for $55, you get EVERYTHING you need to hang unlike some other hammock companies where you only get the hammock and need to buy straps separately. I also really appreciated that it is extremely affordable. I recently bought a hammock awhile back that set me over $100 for the hammock and straps. For half the price, I got a Hobo Hammock AND I helped pay for a meal for the homeless. AWESOME! The setup was relatively easy. You just undo the top string and start pulling out the hammock parachute and straps. The straps are single loop so if they are too long, you simply double wrap or triple wrap them around the tree and secure them through the loop. I generally like hammock straps with multiple loops so that it’s easier to adjust length, but this one did just fine. Once you secure your straps, just clip on the carabiners onto the loop and you’re ready to hang! The Hobo Hammock felt like most parachute nylon hammocks. They are very light weight, quick drying, and sturdy. It seems well stitched and can imagine you’ll get a good amount of life from these. I’d mention that with any parachute hammock, you’ll have to be aware of any branches or sharp objects that may puncture the material. The stuff sack is very convenient and doesn’t take up much space. The good thing is that it’s large enough so it’s easy to store the straps and the hammock without having to struggle. The hammock stands for the hammock fold up quite nicely as well. Nothing is worst than the sleeping bag struggle where you’re constantly trying to compress it down so much and it’s such a hassle. That’s the syndrome of a carrying bag that isn’t the right size. You won’t have that problem with this one. The Hobo Hammock is also very comfortable. You can easily fit 2 people in one hammock and have seen in videos it fit 3. It doesn’t matter as long as you’re under 540 lbs. It’s actually great accommodation as they are pretty comfortable to sleep in as well. Since it’s pretty wide, you can actually wrap yourself inside the hammock to provide extra shelter. For more added comfort, you can add a yoga mat or something similar just on the bottom for added padding and insulation. Another added benefit of the Hobo Hammock is the recycle program (which others don’t seem to have). The company accepts old or broken hammocks, fixes them up, and donates them to people who then distribute them to the homeless. This added service puts Hobo Hammocks above the rest as they will never go to waste and it’s serving a good cause. Interested in picking one up? 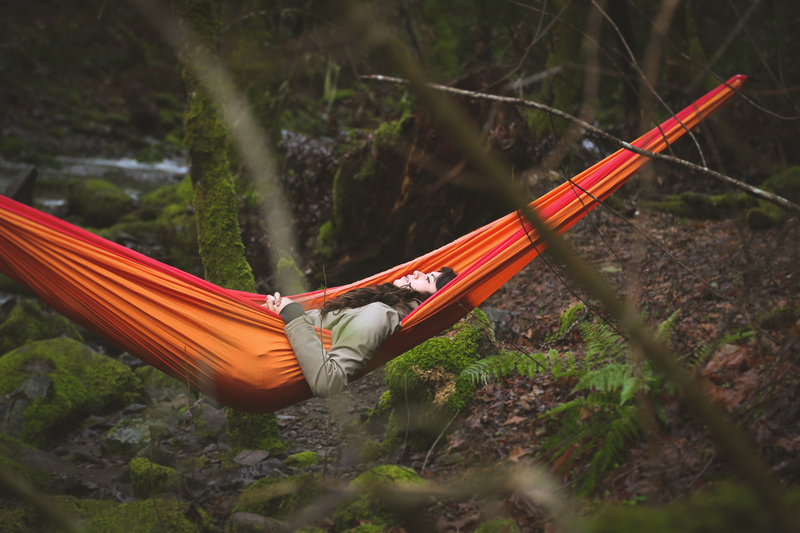 Head over to hobohammocks.com and get your hammock on. Happy hang!